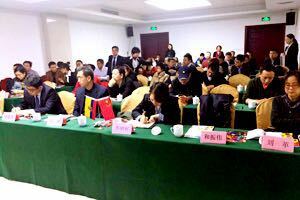 Organized by Pro Ecuador, Ecuador Trade and Investment Seminar was successfully held in Shijiazhuang, Hebei province on December 2nd. 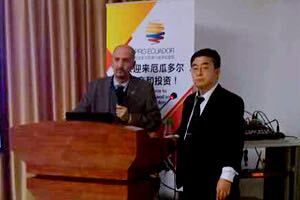 To help Hebei province develop international market, strengthen cooperation between Hebei province and Ecuador, and bring the qualified business opportunities to Hebei province, CCPIT Hebei Council, Heibei Department of Commerce, International Relations of Hebei Govenement, Chamber of Commerce for Import and Export and China Business Network and its affiliated China Invests Overseas gave great support to the event. Director for Oversears Investment of Hebei Department of Commerce Mr Li Yanzhe and Deputy Director Ms Liu Ge, Vice Chairman of CCPIT Hebei Council, Mr Zhang Jiansheng and their Director for International Relations Department Ms Li Zhaohui and Section Chief Ms Su Ting, Vice Secretary General of of China Industrial Overseas Development & Planning Association Mr He Zhenwei, Preisdent of Sunny Communications, an entity of CNTA Mr Wang Xingde and President of China Baobei International Corp Mr Bain Hongdeng attended the seminar. 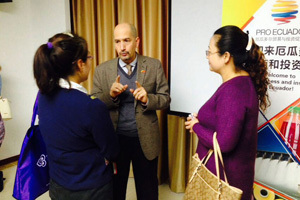 Commercial Counsellor of Ecuador embassy in China H.E. Rojas Meloni Luis Fernando introduced the rich resources including mining, tourism and marine products in Ecuador. He welcomed Chinese enterprise and investors to invest in all areas in Ecuador, including oil, infrastructure, water conservancy, electricity, mining, tourism, food, etc. 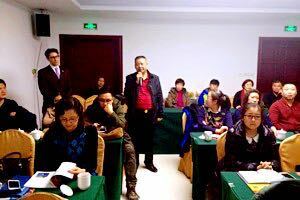 The delegates from the enterprises and organizations in Heibei province and Beijing were very interested in the projects of Ecuador, who raised questions actively to further understand how to invest and set up company in Ecuador. 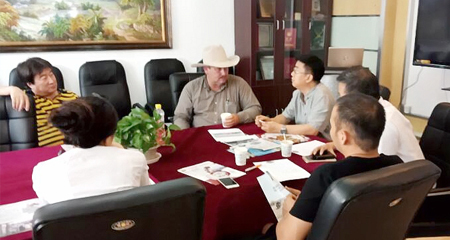 They particularly focused on the projects of investing oil, building up resorts and law firm in Ecuador. Ecuador has signed several agreements with China, such as air services, avoidance of double taxation, visa waiver for Chinese nationals traveling to Ecuador, protection of investment and so on. 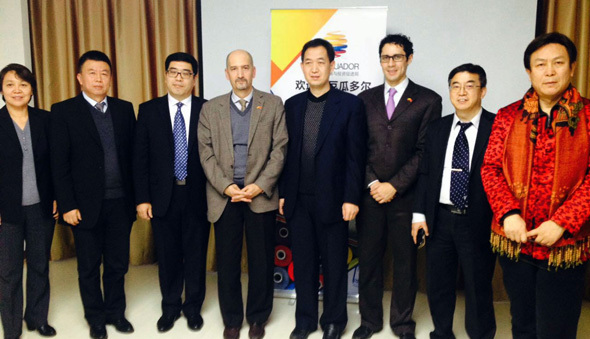 To attract investment, Ecuador has already launched some incentives and got ready for welcoming Chinese investors.